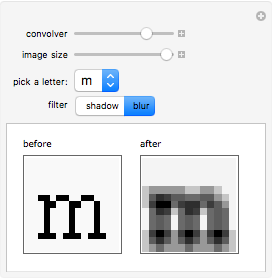 Using list convolution, one can apply different filters to graphics arrays. 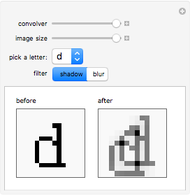 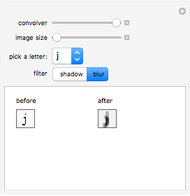 Above are two examples: a blurring filter and a shadowing filter, applied to a graphical representation of a letter. 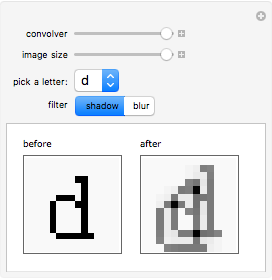 Brian Van Vertloo "Applying Graphics Filters Using Convolution"